Are you one of those who enjoy fried food but also realizes that it is unhealthy? If you are someone who likes to cook food at home but dislikes the oily mess and nasty odors that accompanies cooking. 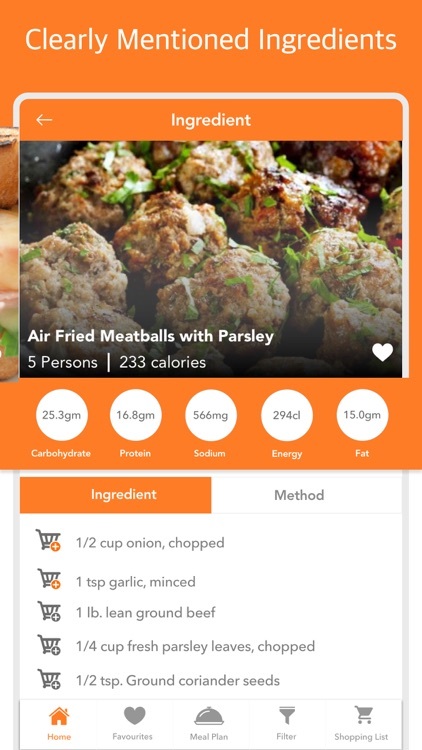 Then this AirFryer Recipes app is for you. 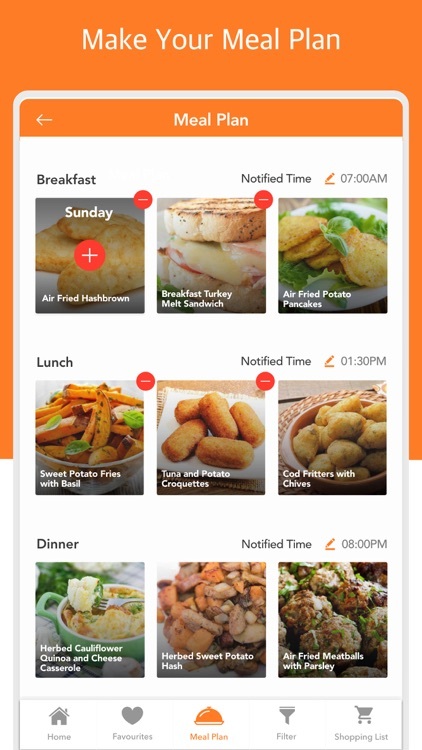 Use this app and enjoy healthier AirFryer food, with 70-80% less oil required for these easy AirFryer Recipes. 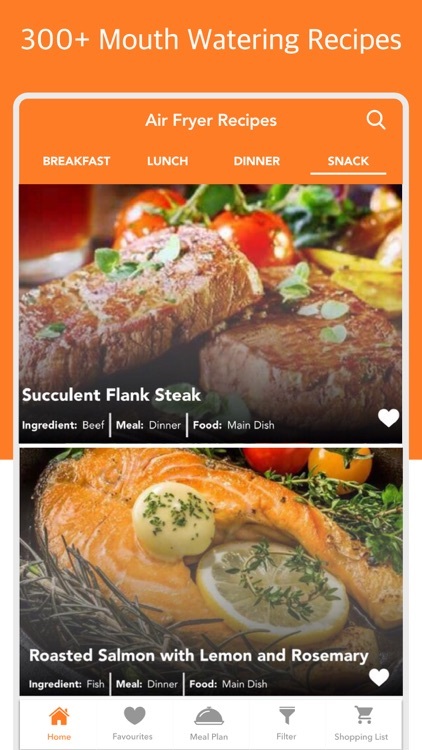 This wonderful air fryer recipes app features tasty yet easy to prepare recipes which you can enjoy without compromising your waistline. 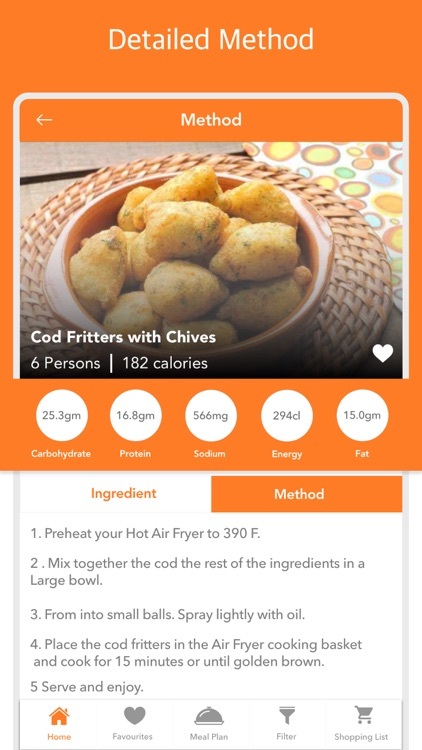 All you have to do is download and install the Air Fryer Recipes app on your iOS device and enjoy. Hot air frying is a modern cooking technique which involves the use of a fantastic machine known as “AirFryer”. 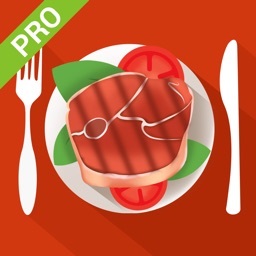 Cooking your food using this incredible machine allows you to enjoy your food without having to worry about excessive fat and calories in your food. Whether you want to have your favorite French fries, meatloaf or chocolate cake, this innovative machine is capable of frying, grilling, roasting, ​and baking without having to add too much oil or fat. Air Fryer Recipes utilize the new revolutionary method of frying food which is a totally healthy approach to cook a wide variety of food at your home without any mess. Whether you want to fry, grill, roast or bake; the Air Fryer can do it all for you with little or no oil at all which makes it a perfect solution for quick and healthy air fryers recipes for snacks and meals. This advanced cooking method can benefit people who are struggling with weight loss but still want to enjoy that desired taste and texture with lesser calories and fat. 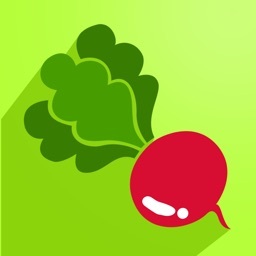 So, this is also a perfect app for all those who wish to lose those extra pounds. 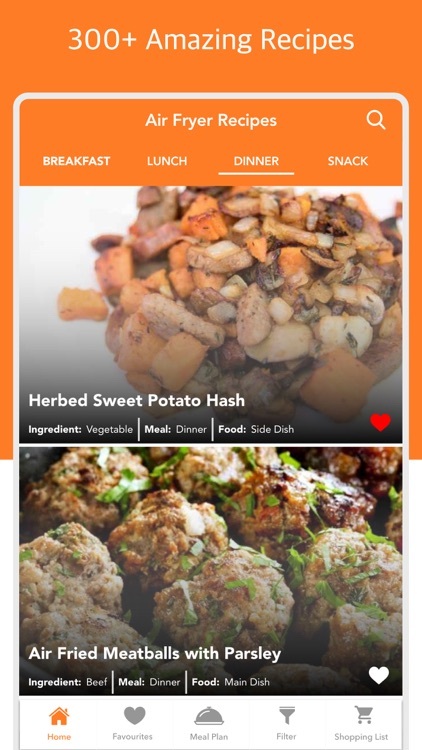 With the help of our handy Healthy Air Fryer Recipes app, even those who are suffering from health issues like hypertension and heart disease, are now able to enjoy delicious meals without having to worry about their health or diet because it needs much less fat for cooking. That means you can enjoy Air Fryer Recipes without worrying about your weight and health. 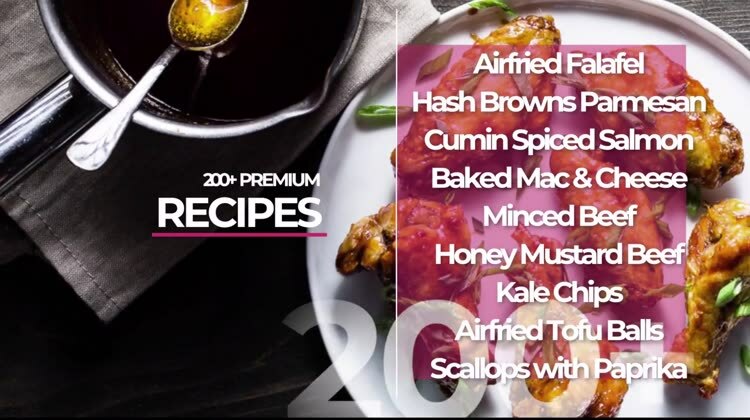 If you are concerned about taste then take our word, AirFryer Recipes taste even better. To make it even better, you can season your cooked Air Fryer Recipes with different spices and herbs before and after cooking your air fryers recipes. The recipes included in our Healthy Air Fryer Recipes are simple, delicious and quick. They can be made from the basic ingredients, readily available in your kitchen. Recipes are given in the most comprehensive way for the better understanding, making it even easier for you to follow the Air Fryer recipes. 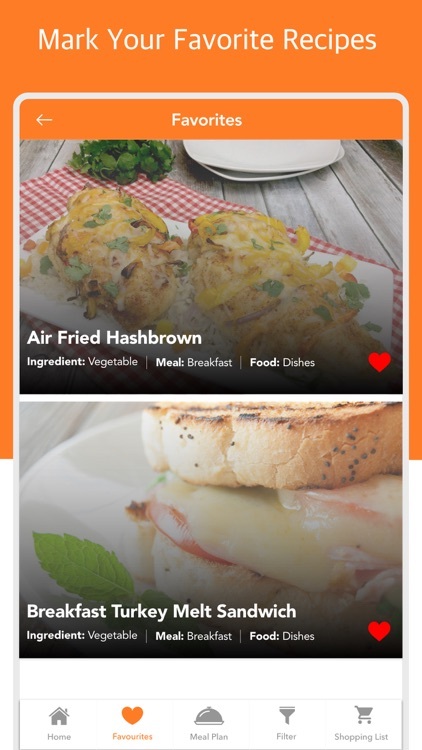 The app offers you an extensive range of AirFryers Recipes for all meals that you can prepare with very little oil and without any mess. That’s not all! 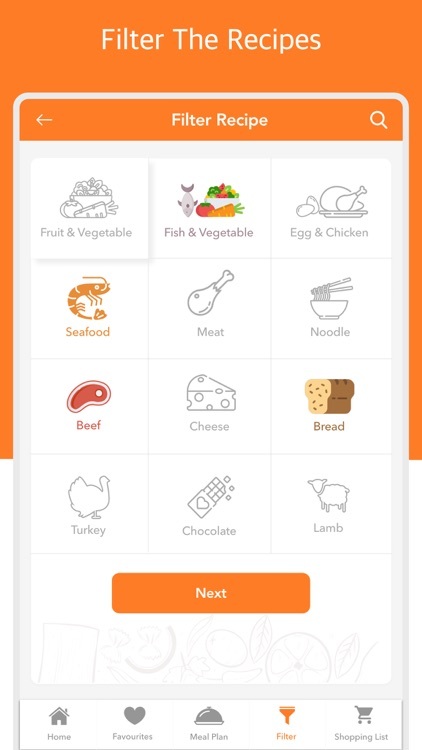 To make the app even more interactive and easy to use we have added exciting features. 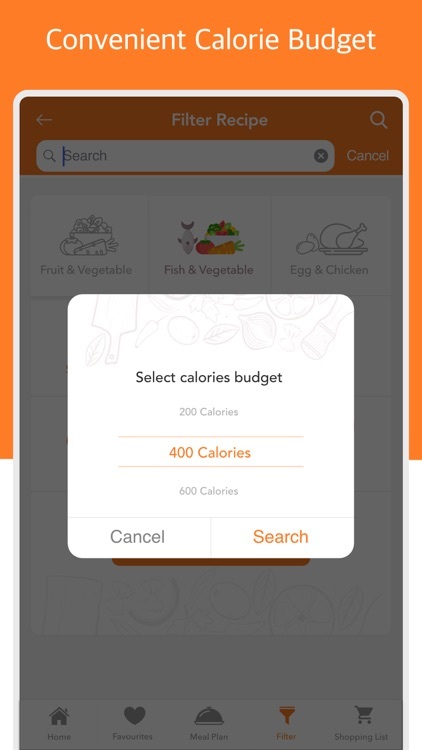 Meal plan’s feature allows you to create customized meal plans whereas filter helps you to filter recipes on the basis of categories. It’s time to eat healthier without giving up the flavor, taste and texture of your favorite foods with AirFryer Recipes. 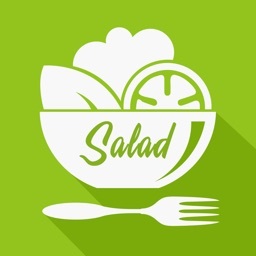 So, if you are looking for an app to maintain your body weight and health while preventing chronic diseases then we assure that you will not find a better app than this amazing air fryer recipes app. Doesn’t that sound great? 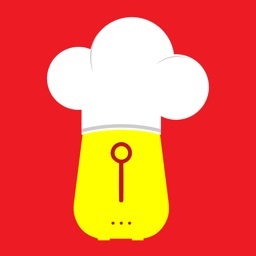 Download this AirFryer Recipes app NOW and enjoy all the great recipes it has to offer. Enjoy these fun and easy Air Fryer Recipes with your friend and family. 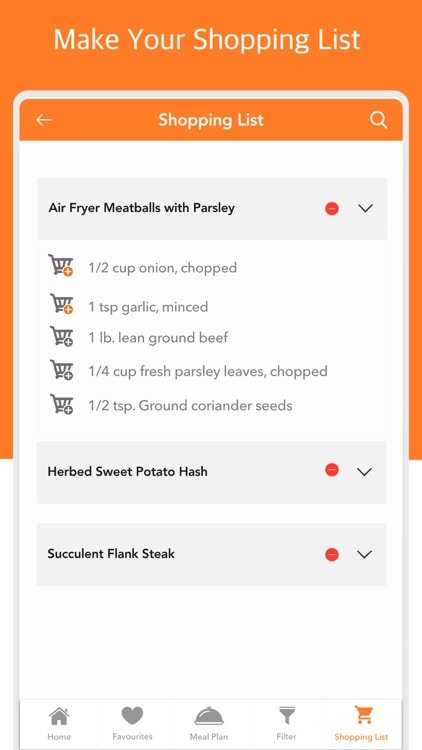 Note: Enjoy 10 + Recipes for Free and then upgrade to Premium version in Just $3.99 to access other 300+ amazing Recipes. 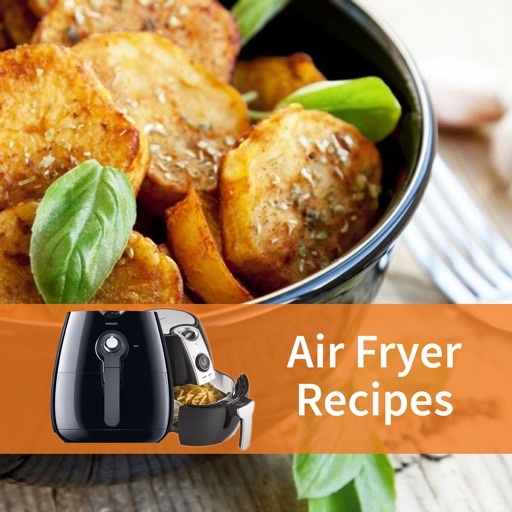 Enjoy the type of AirFryer Recipes that anyone can make and everyone enjoys! And don’t forget to rate us and give a review to encourage.